Among the most difficult of design challenges is figuring out what to do with a hallway, especially if that hallway is dark and narrow. At first thought, working with a space lacking in square footage can feel a little hopeless — after all, if the construction of your space is finished, what can you do? 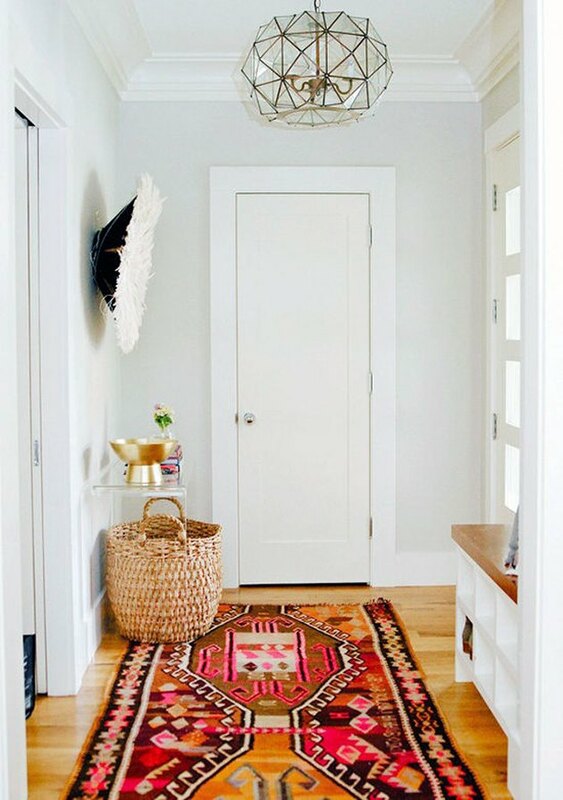 Turns out there are some easy fixes to transform a narrow hallway into a warm, light, and inviting space. 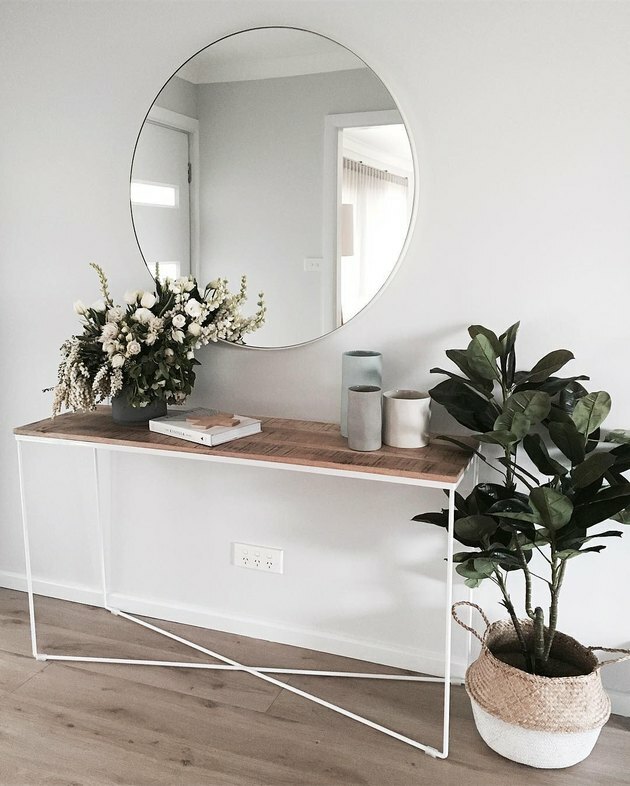 When it comes to broadening your visual space, reflective surfaces are definitely your friend. 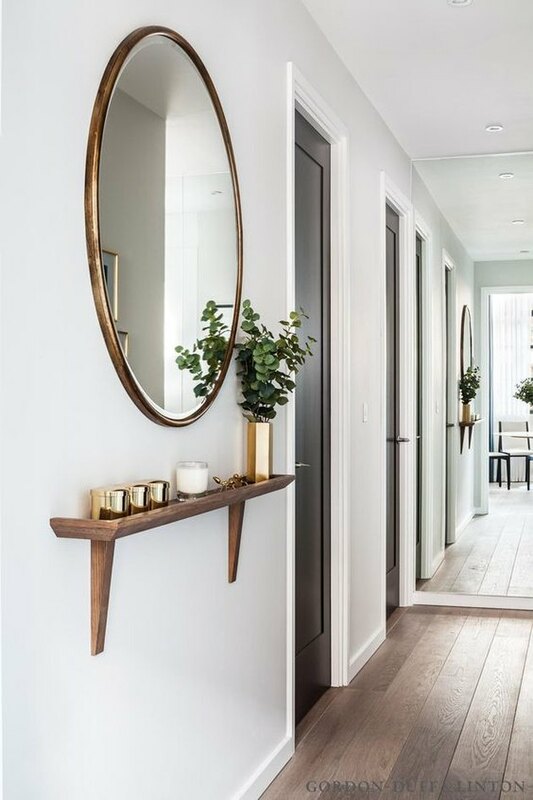 Consider adding one large mirror or a handful of small ones to the center of the hallway to expand your sight lines. For some shopping tips, check out our handy guide to hallway mirrors. If you have a narrow entryway and need more space for shoes, hats, and bags, add a wall of cubby holes. Opt for one that's narrow in width and broad in height to give the illusion of more space while providing ample storage opportunities. 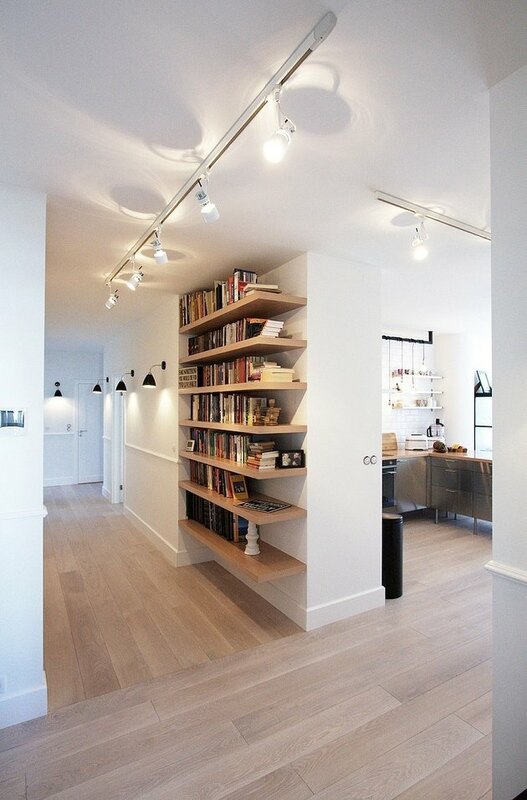 Lighting can make or break any room, but especially a narrow hallway. Generally speaking, the more light there is, the bigger a space looks, so use it with abandon. Track lighting is a particularly good solution for this style problem because it will allow you to custom-target the deepest and darkest corners of the space. 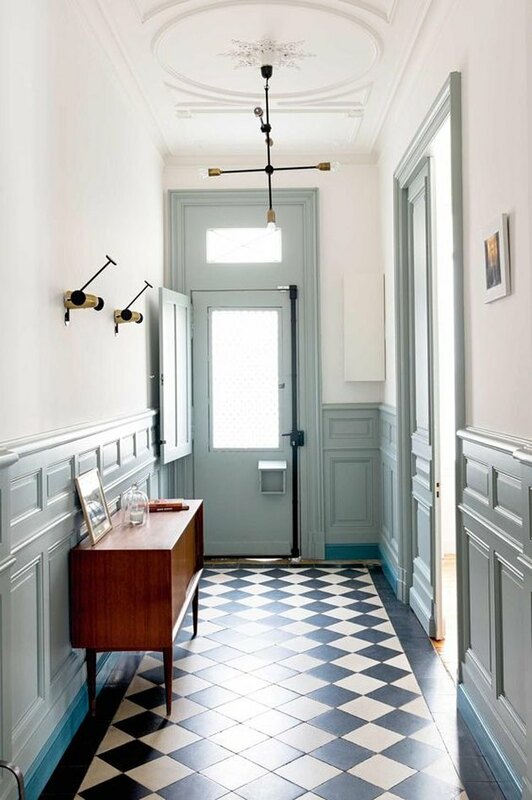 Paint your hallway a light color to keep it feeling open and bright. But don't think you're stuck with white — any light color will do, especially if the paint itself offers a hint of sheen to reflect all of the light we just mentioned. 5. Add color to your trim. In addition to your wall color, the color trim you choose can also open up your space. Choose a color with tones that complement the wall to add a compelling layer of depth to your design. 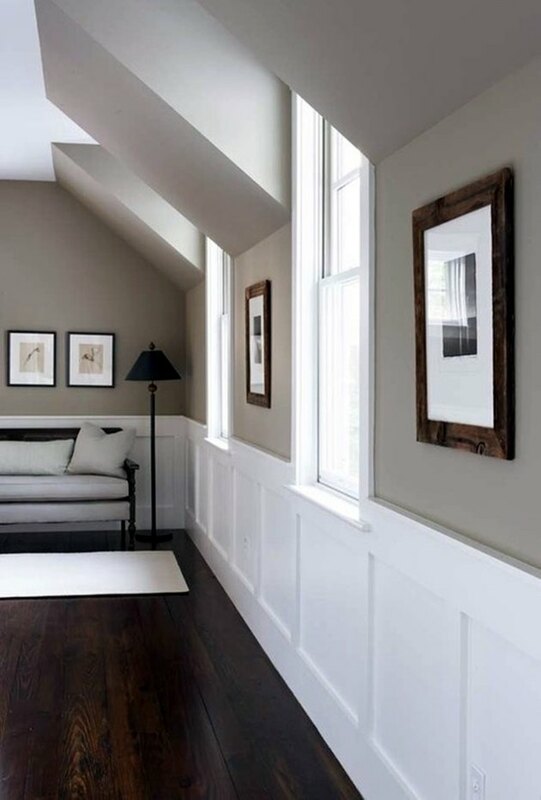 One key way to give the illusion of more space is to incorporate molding, either on the ceiling, the baseboard, or both. This detail helps to define the space and give it a polished and definitive look. Artwork can also broaden your visual space, but only if executed correctly. Art on both sides of the hallway will make your walls appear closer together. Instead, stick to one side to maximize your space potential. 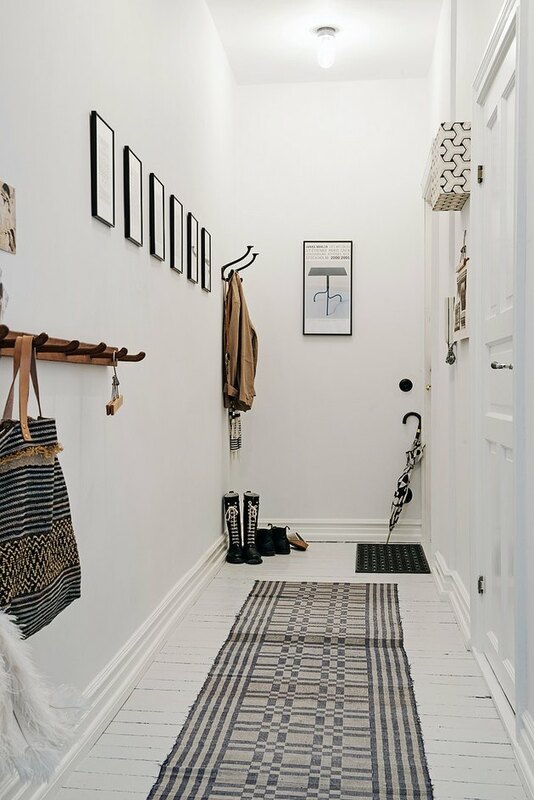 A smattering of decor can work wonders to add personality to a narrow hallway, but showcasing it on shelves that jut out from the wall cramps your space. 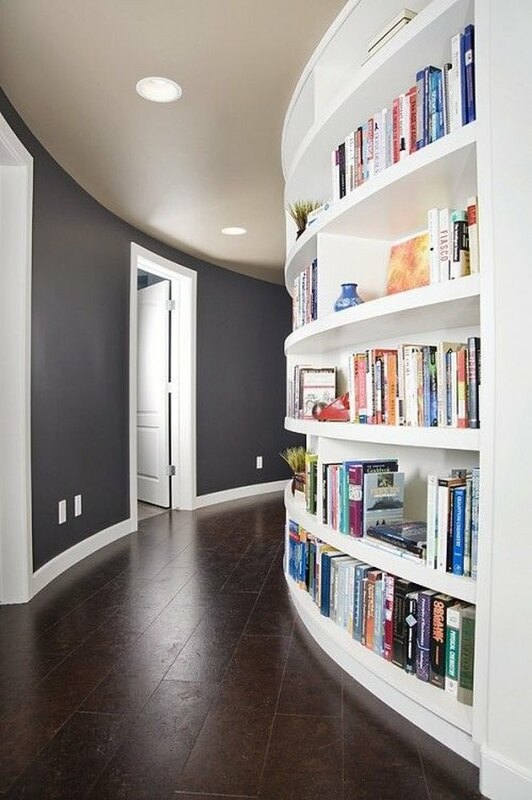 Instead, try for recessed shelving. It'll keep your hallway free as it displays your favorite decor items. Bonus space-expanding points if you add lights to each recess. 9. Invest in a runner. A long runner through the center of the hallway will give the appearance of a longer, more expansive space by giving the area its own boundary. Opt for one with light and bright colors to make the most of this trick. 10. Opt for tall and minimal furniture. 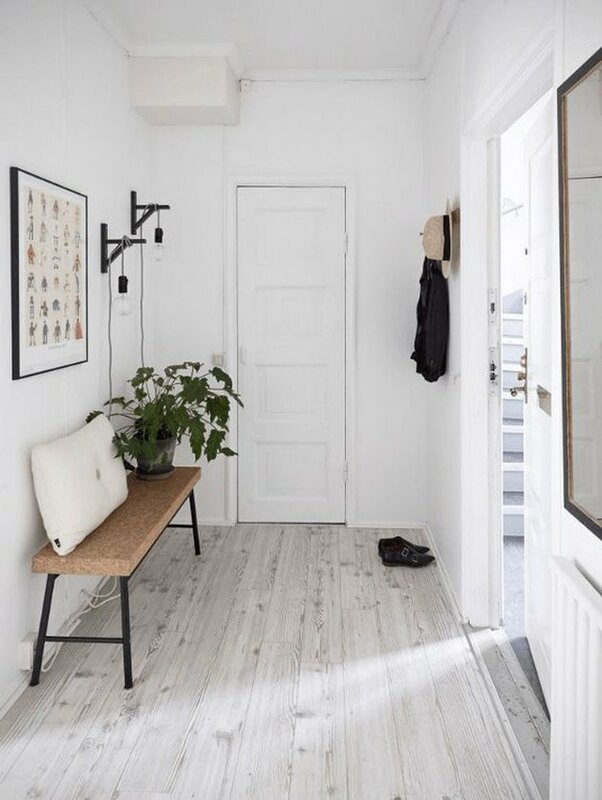 If you want the appearance of a wide open hallway, then it's important not to have bulky furniture obstructing the visual flow. For a surface that will house keys and mail, invest in a console with tall legs and a minimal design to let your visuals flow freely. Just as light-colored walls can open up your space, so can light floors. If you can, consider installing white-washed wood floors. They'll make your ceiling appear higher and look ultra-chic doing it.